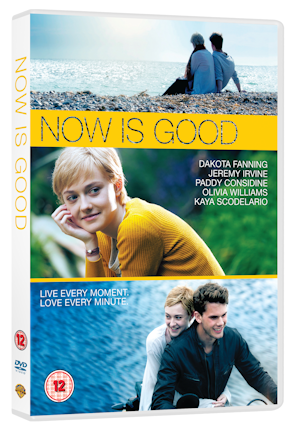 Thank you to Warner Bros. for providing me the perfect film for this weekend coming – Now Is Good. I’ve had the disk for a wee while, and I have a night this weekend when the man is out, and I can watch it in peace when I can get a hold of the remote control. I’m looking forward to some me time with the TV. It will be interesting to see Dakota Fanning act as an adult, as I’ve only ever seen her in her child roles. The film is about seventeen year old Tessa, who is diagnosed with a terminal illness. She decides to use every moment and compiles a catalogue of things that normal teenagers would experience. With the help of her friend, she starts to work through her list while her family deals with fear and grief. She explores a whole new world, falls in love which wasn’t on her list, but proves to be the most exhilarating experience of her life. The pack includes the ever useful Ultraviolet to instantly stream and download onto our computers, tablets and smartphones. I also suspect I’ll need a pack of handkerchiefs as it could be a real tear-jerker. Up for sale, I’d always buy films from Amazon these days for physical versions. Now is Good is £12 from Amazon at the moment. The movie sounds nice and the title is enough to understand that it must be tear- jerker. Hoping to see it soon!